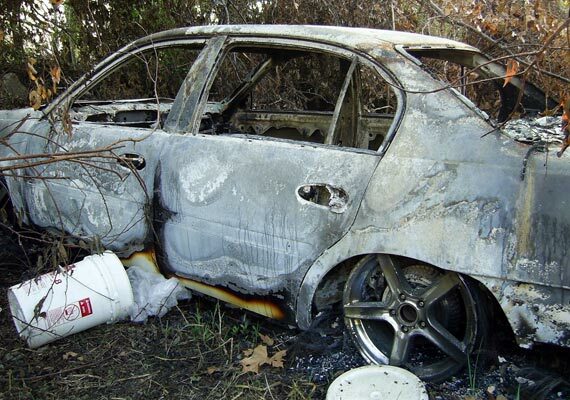 The burnt car in which the remains of Henry Glover were found. 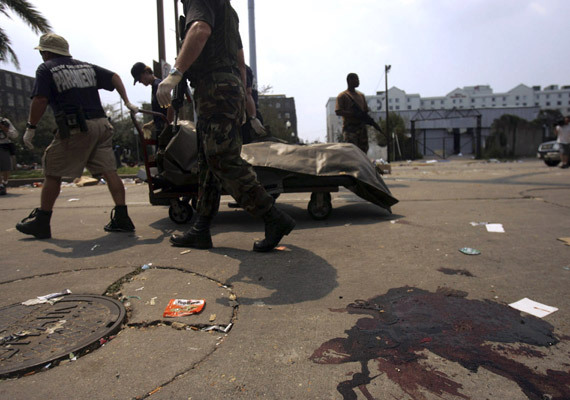 Paramedics remove the body of Danny Brumfield on Sept. 3, 2005, after he was shot by a New Orleans police officer. No other physical evidence was retrieved from the scene.